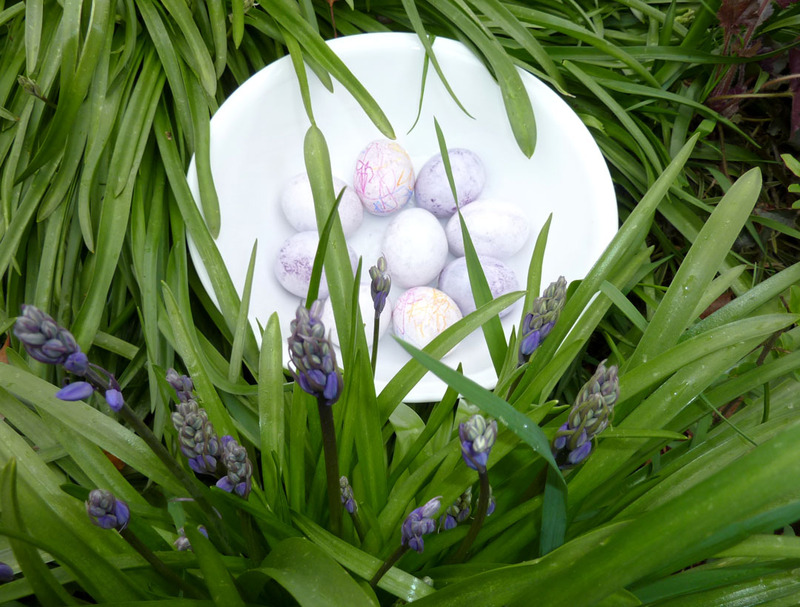 Henrik and I decorated eggs inside this morning while Rob finished up forming our garden beds outside. 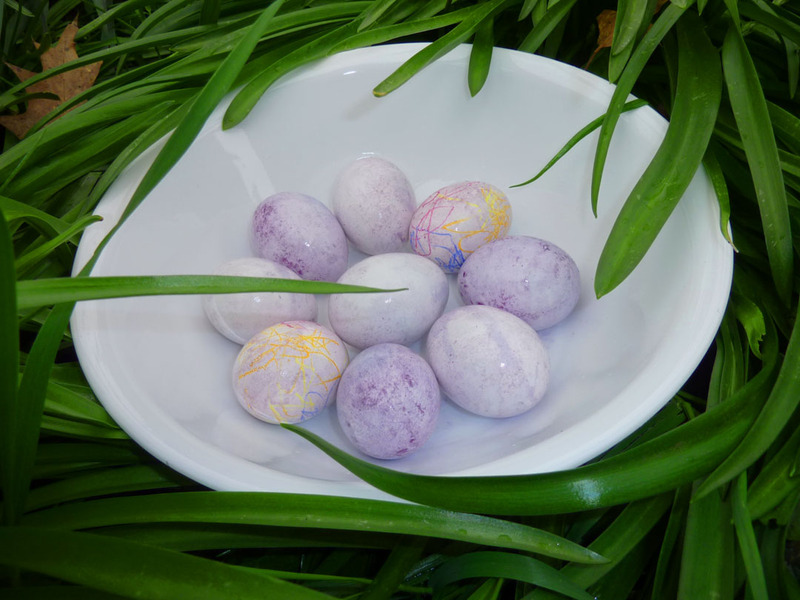 I had received this link for DIY natural egg dying and decided to try it out with Henrik. I strayed a bit from the directions and just bought grape and cranberry frozen juice concentrates. I mixed ½ C of the defrosted juice concentrate with 1 tsp. vinegar in a mug. 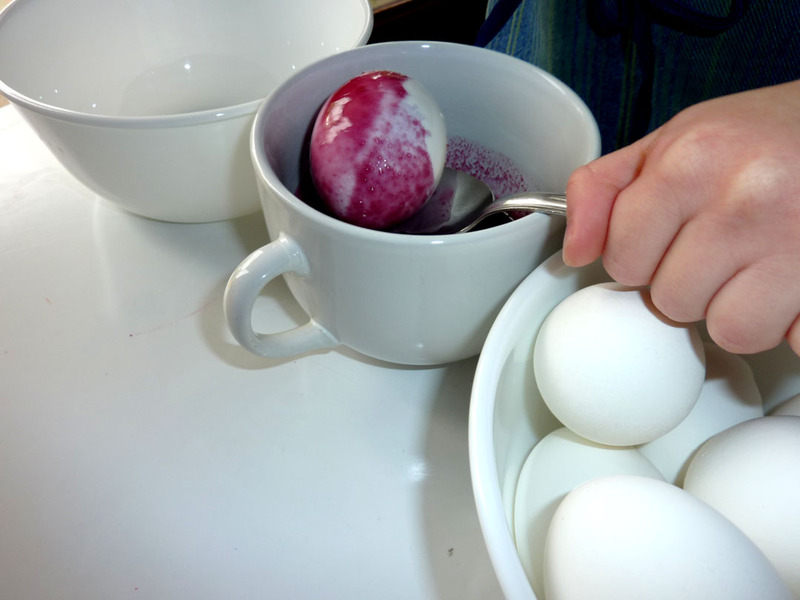 Henrik was able to spoon the eggs from the starting bowl, into and out of the dye mug and into the finish bowl all on his own. Two eggs cracked during the boiling process so we had ten to work with. We started with four in the grape juice. The colors were great. 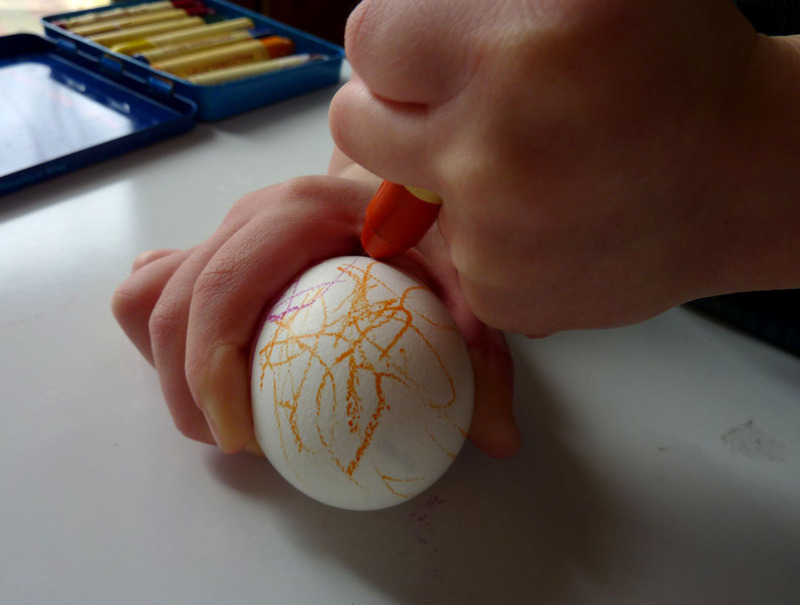 Henrik decorated two of the eggs with crayon as I switched to the cranberry juice. The cranberry was very subtle so I poured the leftover grape back into the dye mug. I now wish I had had Henrik color more of the eggs. The juice dyes lacked vibrancy and the crayon artwork helped liven up the bunch. The eggs ended up very sticky. It came down to a choice between sticky and a little more colorful or very pale and matte. I left them a little tacky and as bright as possible. 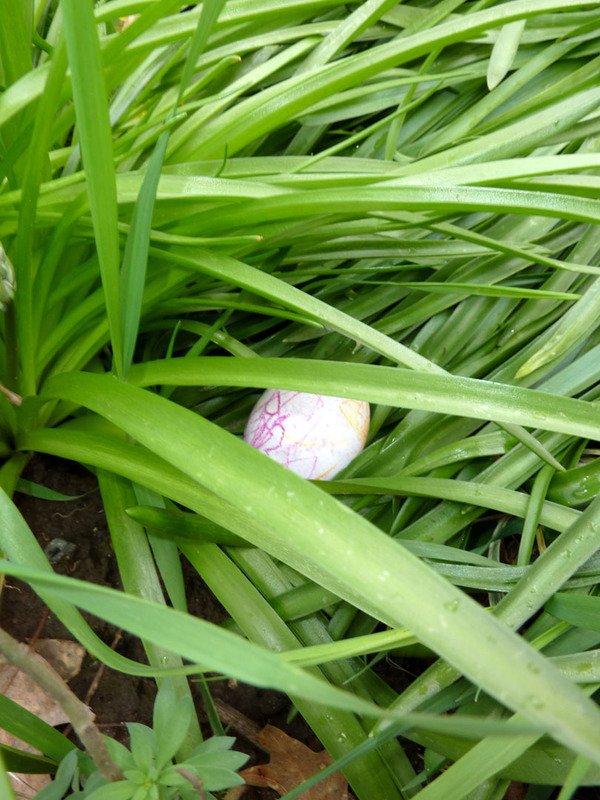 It started to rain right as I hid the eggs in the backyard. 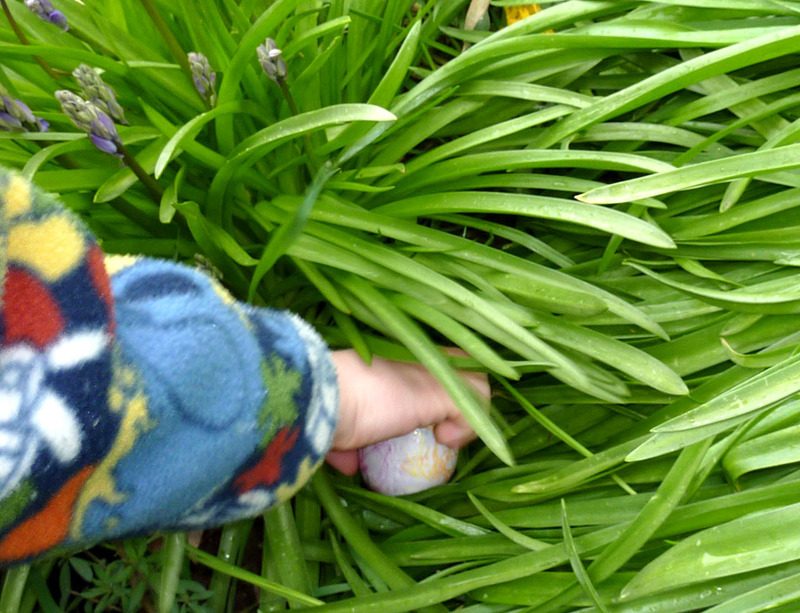 Henrik found all the eggs and we headed back inside. I made deviled eggs with four of the eggs and egg salad with the rest. I picked up a copy Natalie Chanin’s new book Alabama Studio Style at Powell’s this afternoon (she is coming to Powell’s on 04/13/10). 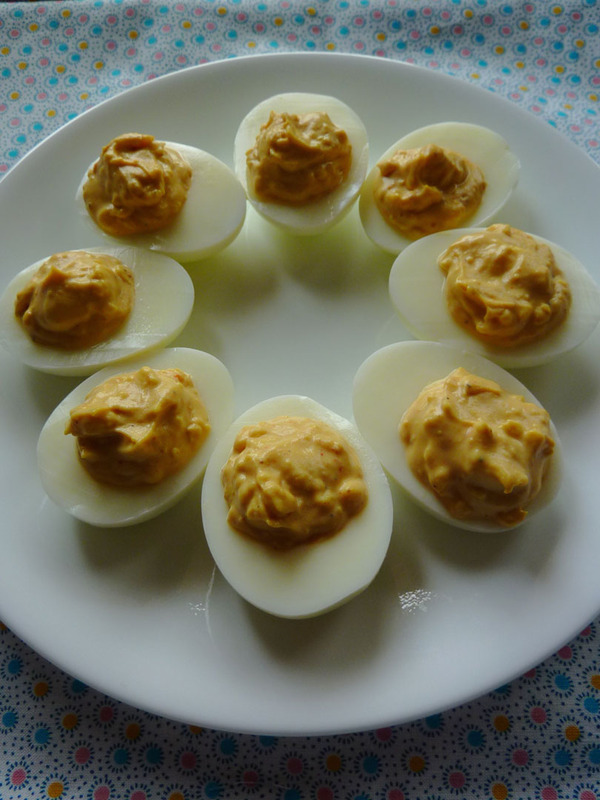 There is a recipe for deviled eggs in the book. What a perfect way to use up a few extra eggs! I didn’t have all the ingredients, so I strayed a little from the recipe, but I appreciate the inspiration. I went to my “go to book”, Mark Bittman’s How to Cook Everything Vegetarian, for directions on how to cook a hardboiled egg and also for some guidance on the egg salad. We are all glad we don’t have that many extra eggs to consume on a regular basis. Henrik and I had fun decorating and dyeing and Rob finished prepping all five of our garden beds. We are looking forward to planting this week. More garden updates to come….. This entry was posted in Beauty, Create, Family, Food, Kid Craft, Learn, Quilt, Seasonal, Tutorials. Bookmark the permalink. This entry was posted in Beauty, Create, Family, Food, Kid Craft, Learn, Quilt, Seasonal, Tutorials, Uncategorized. Bookmark the permalink.